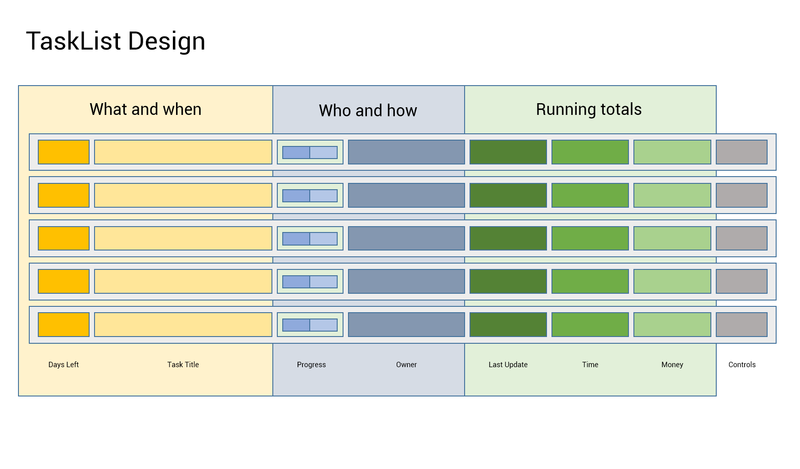 Each section concerns different part of a summary: what and when, who and how plus running totals. 2. The blue section is the who and how. The first column displays the progress: either as accepted by the task owner or calculated in case of projects by looking at the sub-tasks. 3. The green section represents the running totals. Running totals are calculated the same way for tasks and projects representing a roll-up report for all the time, costs incurred in relation to the last update.